Welcome to University Hospital education site. We aim to help you find information which will facilitate both your own teaching and learning activities as well as those for others. Please follow the headings of the area you are interested in. We are committed to the life long learning of all doctors, including consultants. Consultants are encouraged to participate in national and international meetings and courses as well as research. The clinical skills wing in the Clinical Sciences Building is a superb facility which has enabled the establishment of an increasing number of high level specialised courses. 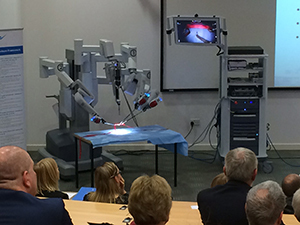 The Trust’s partnership with Warwick University has lead to a fertile expansion of courses available to senior clinicians in many areas including medical education.